Hey, Can I Borrow Your Notes? 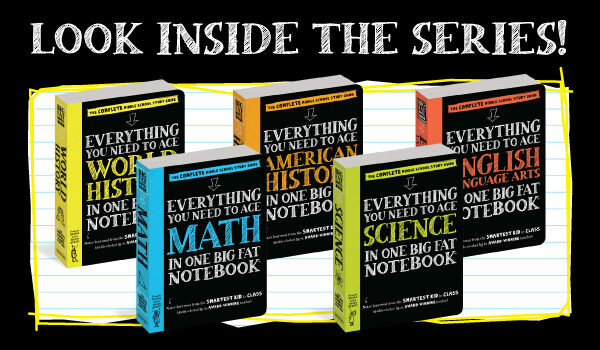 For every middle school kid who has ever whispered, “Hey—can I borrow your notes?” there is the Big Fat Notebook series, a revolutionary study guide series created by the editors of America’s #1 educational bestseller Brain Quest. Each indispensable study guide is like getting to borrow the notebook of the best student in class, with highlighted key concepts, doodles that illuminate tricky ideas, mnemonics, and more. 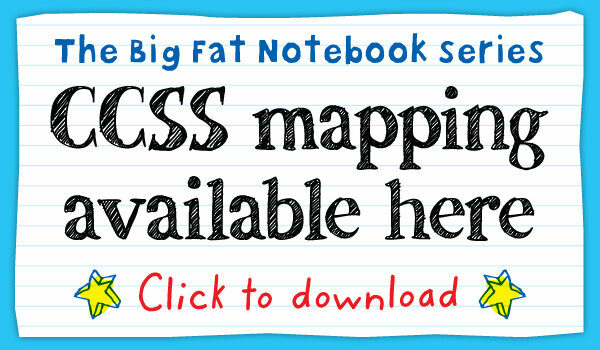 "All the trappings of an actual student notebook... the illustrations and mnemonic devices are perfectly in tune with a middle-school reader’s needs... For any student who is looking for a big fat reinforcement." "Comprehensive...[with] the appearance and content of a good set of student notes. Suited for students looking to sharpen...skills and bolster their confidence."